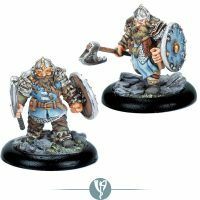 The Nordgaard gain a new unit soon with the immanent release of the Fimbul Toughborns unit. 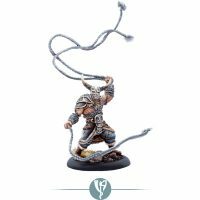 Dwarven Crossbowmen is nothing new but the Fimbul Toughborns are Dwarven Scouts, able to ignore difficult terrain and also set traps on the tabletop for enemy models to blunder into. Besides this, they can stand ready, shooting enemies who cross their kill-zone in their own turn as a passive activation. By loading two bolts into their crossbows they are able to increase the chances of hitting by making two missile attack rolls for each attack action. With MIS6 and multiple POW3 shots per turn, the Toughborns can bring hurt to the enemy from 20 inches away. That’s got to make and Nordgaard player happy! Sculpted by the Dwarf-Master himself – Scibor – we are proud to present the Fimbul Toughborns. 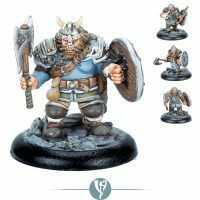 Fimbul Toughborns are scouts who patrol the trade routes of Nordgaard, and who act as caravan guards and explorers. 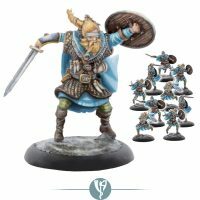 So accomplished are they that several High-Kings of Nordgaard established permanent regiments of Toughborns as rangers to patrol the extensive, porous borders of the kingdom. The Toughborns’ primary weapon is a compact crossbow which has a fast reload rate due to its clever mechanics. When left no other option, they engage foes in melee using their large hunting knives to good effect. 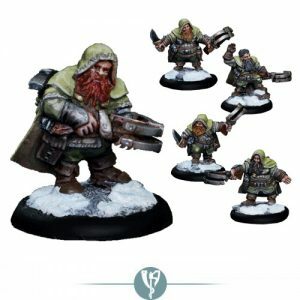 Sculpted by our friend Scibor, these Dwarven scouts are real masterpieces.